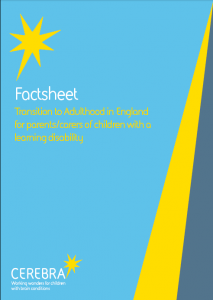 This short guide aims to highlight the importance of transition in the lives of children with learning difficulties, provide information about what is involved and help you navigate and access the information, support and resources that are available. What happens if my child has an Education Health and Care (EHC) Plan? What must public bodies do?